Providing the very best in one-on-one coaching. The hour-long class enables us to diagnose and correct individual errors. Provision can be made to work on a topic of your choice or suggestions can be made upon previous experience to leave the goalkeeper full of confidence when they next train or play. Price is $100 or $150 with video highlights. Please state which you would prefer upon booking. See availability and pricing here. See FAQ’s at the bottom of the page. Q – Where are the sessions held? A – In most cases, you pick the venue. There are times when I can secure a field and will be there. Notice will be given if that is the case. Q – What are the benefits of the video work? A- The benefits of the video work is that the goalkeeper, parents and myself get to see a technique again and can provide better insight. The video can be used for training clips as part of a highlight reel also. Q – Are there any other services that are offered for when I cant get to a session? A – Yes, we designed the online courses for this very reason. Check out available courses More are being added all the time. If there is no field space or a goalkeeper is injured, I am also able to provide 1 on 1 educational tuition on a particular topic. 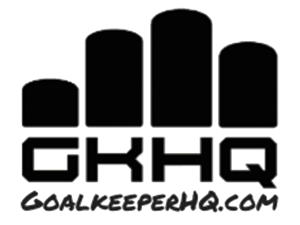 I bring video clips, provide written coaching points, provide tests to see how you are doing in that particular area and goalkeeping drills you can do that will help you improve. There is also the Match Analysis service where I will review a videoed game or come to a game to evaluate. E-mail me at Leon@GoalkeeperHQ.com for more information. Q – I’m not sure what to work on exactly. Do you offer suggestions? A – The sessions can be based on three main topics. 1) Increased confidence 2) Fitness or 3) Technique. Upon booking you are sent a link with suggestions or if I have worked with you in the past I can suggest a particular topic that I feel you need work on.